Thermoset compression molding is historically the most common method of molding thermosetting resins; it is certainly the oldest, and many existing molds are of this type. Compression molds typically have a single cavity, although dual-cavity and even multi-cavity molds are possible. … then the mold is opened and the finished part ejected. What characterizes compression molding is the method of charging the mold with resin: the plastic resin is placed directly in the bottom cavity of the open, heated mold, and then the top half of the mold is closed down on the resin under tremendous pressure, causing the resin to flow throughout the cavity until it completely fills the now-closed mold and assumes the shape of the finished part. The compression action itself generates heat, and in conjunction with the heat of the plastic mold, raises the temperature of the resin to the point where a chemical reaction called “crosslinking” takes place. 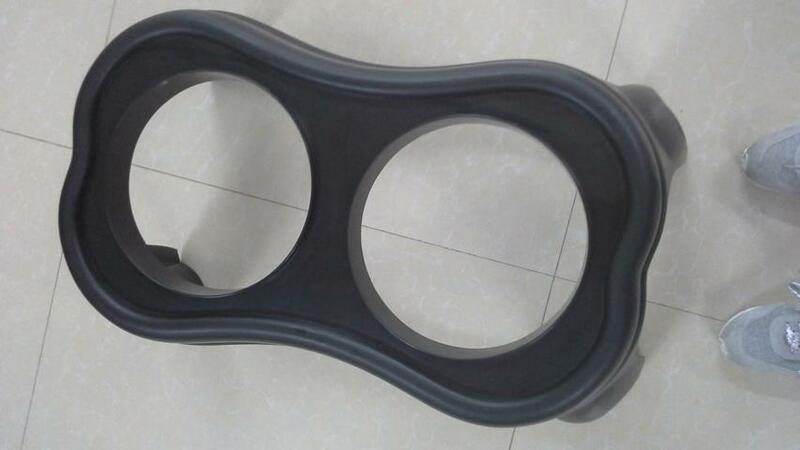 It is this crosslinking that gives thermoset molded parts their characteristic strength, hardness and rigidity. 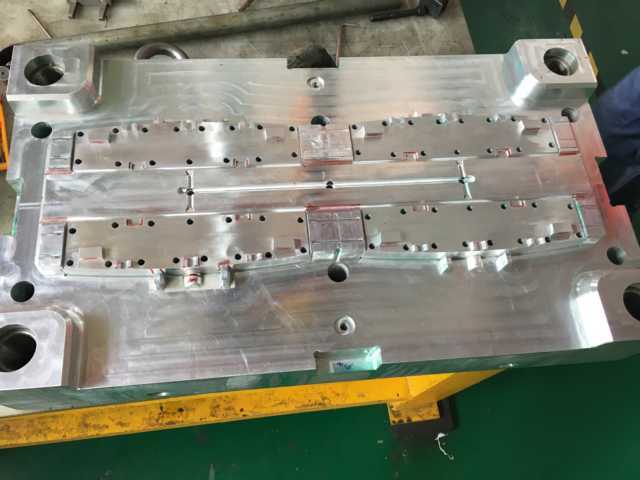 The heated mold is held closed for sufficient time to ensure that the crosslinking reaction is complete; this is called “curing,” and the length of time required for the cure cycle is almost entirely dependent on the wall thickness of the finished part. The thicker the part at its maximum cross section, the longer the curing time required for a given mold temperature. In preforming, the exact amount of raw resin required to completely fill the mold (plus a small excess percentage to allow for squeeze-out) is compressed into uniform “pills” — sometimes called “hockey pucks” in industry slang, because that’s what the larger ones look like. These preformed “pills” of resin are produced in batches prior to molding using machines called, appropriately enough, preformers. Preforms are made in various sizes, depending on the size of the mold. Direct charging is used in situations where the mold cavity is too small, too shallow, or too convoluted, to conveniently accept a preform. In these cases, a measured scoop of cold resin is distributed directly into the open mold cavity. Metal inserts — electrical contacts, female threaded holes, male threaded studs, bushings, and the like — can be placed in the mold cavities, using holes or locator pins, prior to molding. Under compression, the plastic resin flows around these inserts, molding them into the finished piece. Even though thermoset plastics are machinable to a degree, the judicious use of molded-in metal inserts can often eliminate costly secondary operations and add value to the finished parts. Metal inserts can be molded into the bottom surface, the top surface, or both surfaces of the finished parts. They can even extend completely through the piece. In cases where the inserts are especially small, or cannot be properly supported within the mold, they can be epoxied in as a secondary operation. Less expensive molds. Compression molds are generally less expensive than other types, both in initial cost and in maintenance. Less scrap can lower material costs. Low-volume jobs are more economical, due to the simplier process and reduced start-up times. Compression jobs can be cycled in and out of the workflow more quickly, and on shorter notice. Heavier flash than other methods is possible. Deflashing is a secondary operation that may add to both labor costs and scrap loss. Labor costs vs. cure time trade-offs. Labor costs can be reduced by using BMC materials and other cold molding techniques which forego preheated preforms, but the cure cycles will be longer. Parting line thicknesses can vary making dimensions across the parting line more difficult to control tightly. Metal inserts may be flashed, leading to more labor-intensive deflashing and clean up. Deep, small diameter holes are difficult to mold reliably; in general, cored holes should be limited to 2.5 times their diameter in depth. Thermoset compression moldings are all around you. From the knobs on your stove to the electrical boxes in a jumbo jet — if it’s plastic, hard, rigid, heat-scratch-and-chemical-resistant, an electrical insulator, and it’s got molded-in metal inserts, and it’s black (or shades of reddish brown) — chances are it’s a thermoset molded product. Aerospace — an aircraft terminal housing is just one example where thermoset moldings provide the excellent dielectric properties, lightweight rigidity, and dimensional stability required by precision in-flight systems. Household Appliances — a blower fan blade for a residential clothes dryer illustrates the ability of thermoset compression molded products to meet critical density and dimensional stability requirements. Industrial Machinery — an adjustment wheel for an industrial milling machine displays the rugged workhorse qualities of a typical thermoset compression molding. Compare with Thermoset Transfer Molding, which is similar to compression molding, but with important differences. Compare also with Thermoset Injection Molding, a familiar process in thermoplastics, now equally applicable to many thermoset materials. 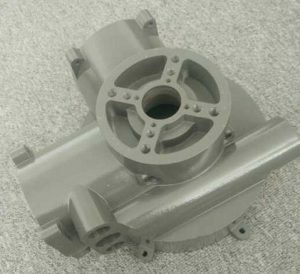 Quashnick Tool works closely with customers to develop products which can be molded accurately and economically. 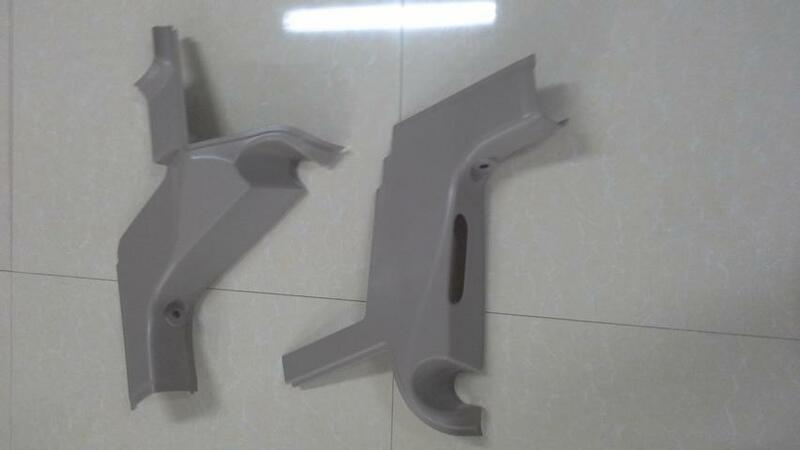 Employing SPC, Six Sigma and working toward ISO certification, we supply our customers with injection molded parts that consistently exceed their dimensional, aesthetic and performance requirements. Our staff strives to meet our customers scheduling and production needs and we stand behind our products 100%. Please review the following molded part categories for more information and contact us if we can assist you with your next project. Our emphasis, as directed by Mr. Quashnick himself, has always been quality and accuracy. 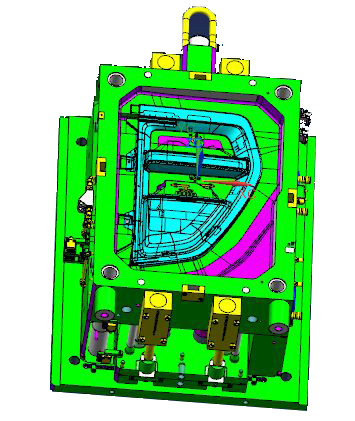 This is reflected in both the Injection Molds we manufacture as well as the Molded Plastic Parts they produce. Plastic Injection Molding for the Medical, Biotech and Hightech industries. For 39 years Quashnick Tool Corporation has developed custom injection molding for the who’s who of technology companies in the greater San Francisco Bay Area. 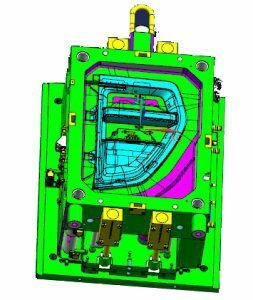 Knowing what’s at stake when it comes to developing and maintaining quality plastic injection molds and the parts produced is the secret to their continued success. They realize that when companies begin new designs of molded materials, significant corporate R&D, engineering, manufacturing, administrative and support resources are at stake. Any redundant or rework efforts will add cost, delay time –to- market, and may upset medical device trials and qualification. Quashnick Tool Corporation was founded by State Certified Journeyman Tool Maker and past President, Terry Quashnick and his wife Jeanette in 1973. 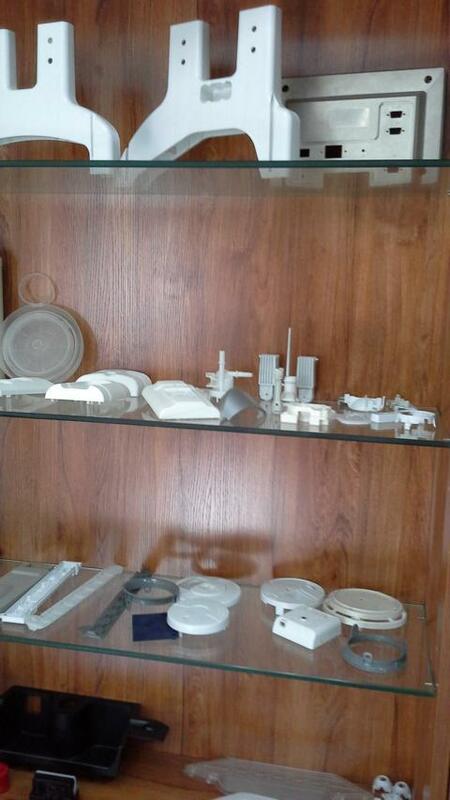 For the first eleven years they specialized in the design and construction of injection molds. In 1984 they added injection molding to the business. Inducted into the Society of Plastic Engineers Hall of Fame in 1998. In 2008, Terry assumed the role of CEO/CTO to focus on technical development when Ed Baker joined the firm as President and COO. After 37 years of operation, QTC remains a custom manufacturer with two divisions and has built a team of versatile and experienced employees to meet any customer’s injection molding needs. The tooling division specializes in the construction of complex plastic molds built to very high tolerances. Technology is an important component at QTC and the company continues to invest in the latest machinery and metrology equipment to maintain our reputation for competitiveness and quality. Also incorporated in the tooling division is one of the most advanced computer aided mold design facilities in Northern California, which utilizes the latest versions of Pro/Engineer, AutoCAD, SolidWorks and SURFCAM. As the industry has changed, QTC has changed with it, with a focus on clean manufacturing and producing higher volumes of complex medical parts, in addition to custom work. The molding facility currently operates eleven state of the art injection molding presses ranging from 35 to 230 tons across the entire spectrum of resins from polypropylene to engineering resins. Today, QTC operates using lean business processes, ISO level documentation, six sigma problem solving tools and a total team concept, to seamlessly integrate mold design, mold construction and plastic molding operations, and assure we deliver quality parts to our worldwide customer base.